Total body wellness starts from an active lifestyle and good dental health! 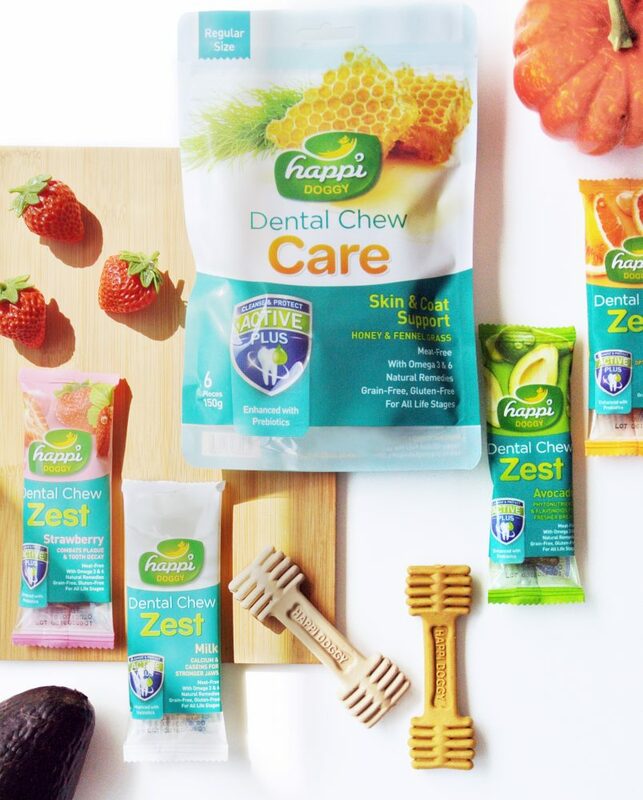 Specially designed to combat dental and oral issues, Happi Doggy Dental Chews are proven to clean your canine’s teeth by softening and removing tartar stains, hence preventing the build-up of nasty plaque, and voila! Better breath, better pup smooches! 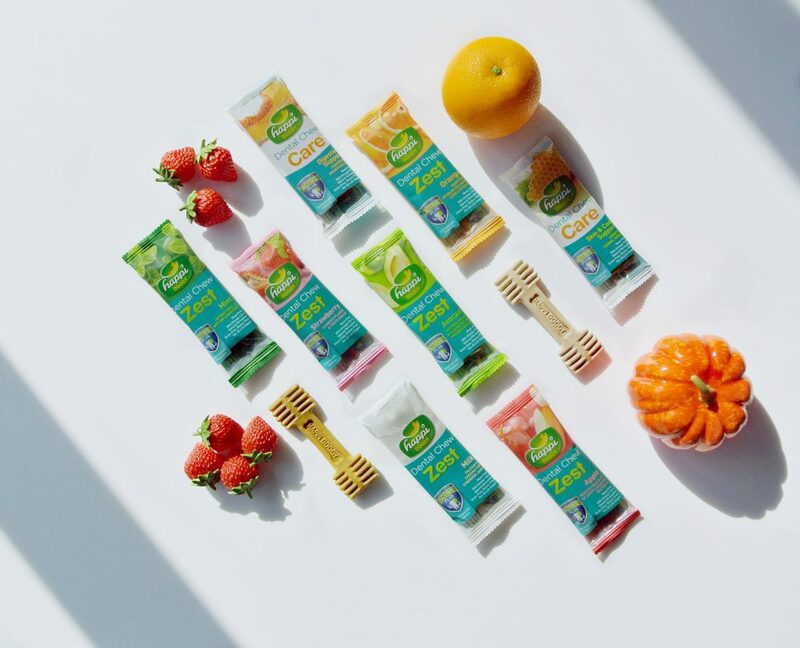 With the addition of Active Plus, dental cleansing has never been easier. Be overwhelmed by your dog’s fresh breath, healthy pink gums, and strong teeth! Now grain-free, suitable for even the most sensitive dogs!